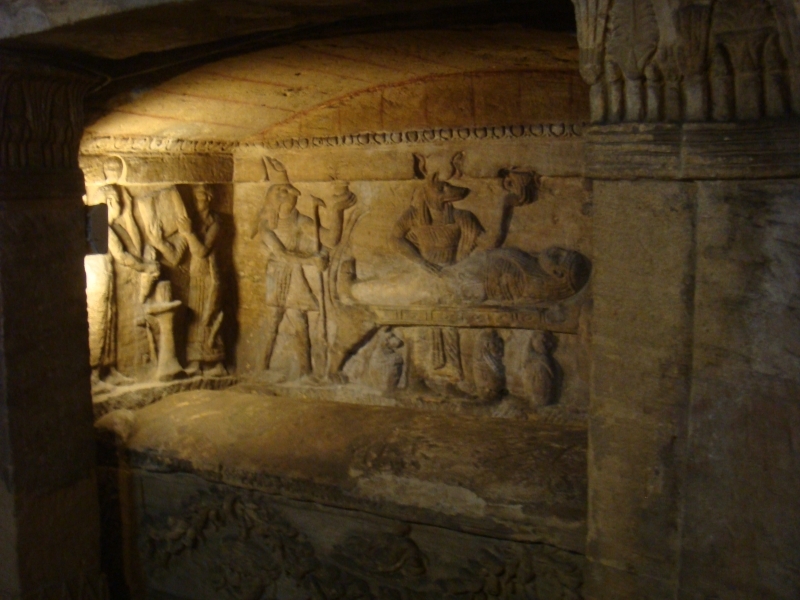 The old Catacombs of Kom El Shoqafa are an extremely well preserved and fascinating mix of different ages with Pharaonic and Roman dedications to the dead. Found purely by an accident with a donkey falling through a hole in the ground in 1900, these sets of rock cut burial chambers and tombs. 3 hours from Cairo is the Port City of Roman Alexandria with many Roman sites dating back to the reign of Alexander the Great. 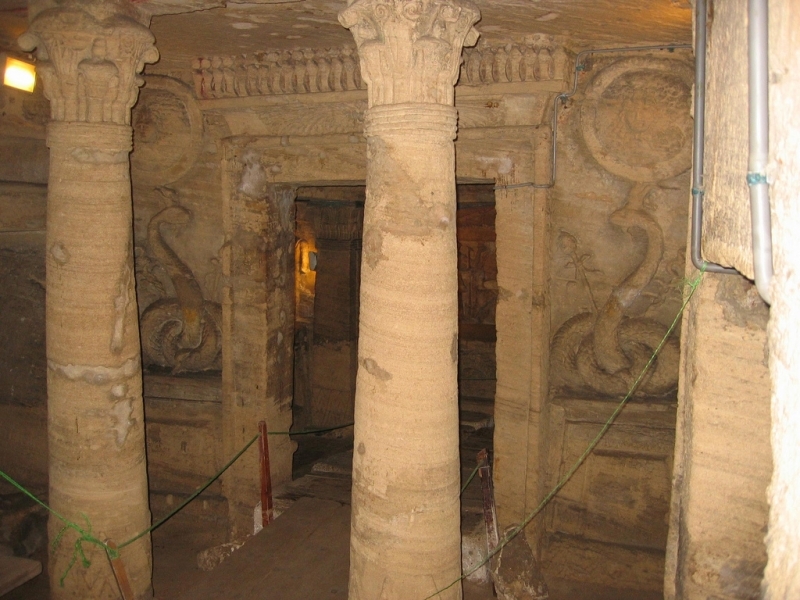 Not far from the main Corniche ( seafront) is the site of the Catacombs of Kom El Shoqafa. 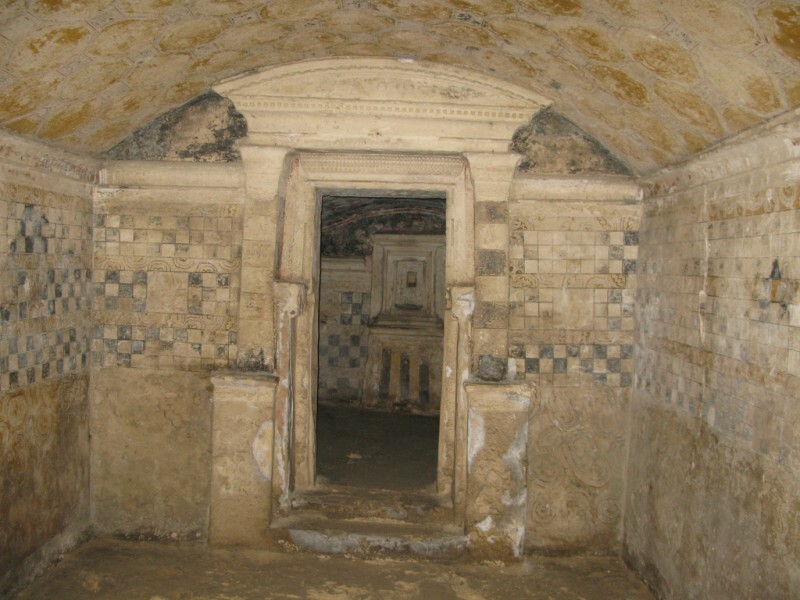 The archaeological studies suggest that the Catacombs date back to around the 2nd century AD.and are located at around a depth of 100 feet underground. 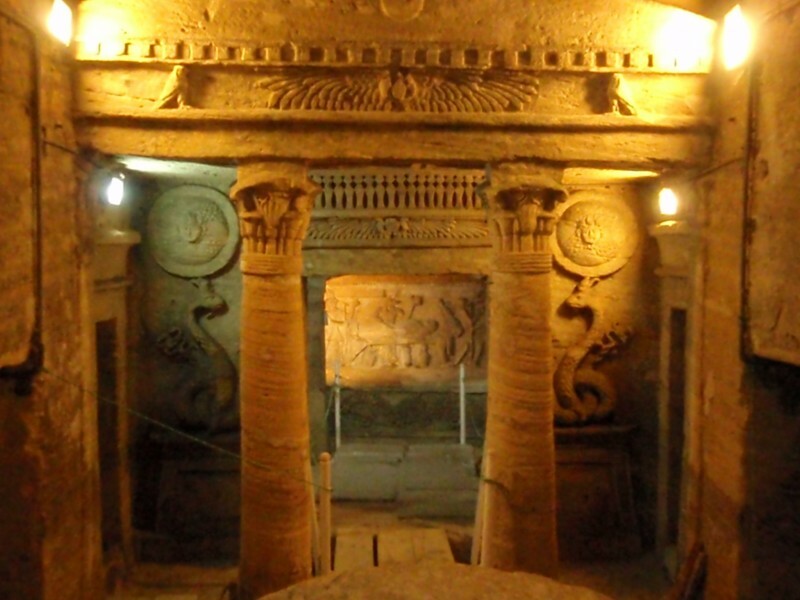 The chambers are a mix of tombs and also a feasting chamber where families of the deceased would sit and gather in respect of their lost ones and eat. The style and design of the tombs were a mix of Egyptian Pharaonic, Roman and Greek, celebrating all traditions for the dead. Scholars named it the Hall of Caracalla after the Roman emperor who massacred Alexandria youths at a review in 215 AD. Relatives toasted the dead from stone couches in the Triclinium, where the first archaeologists to enter the chamber found wine jars and tableware. 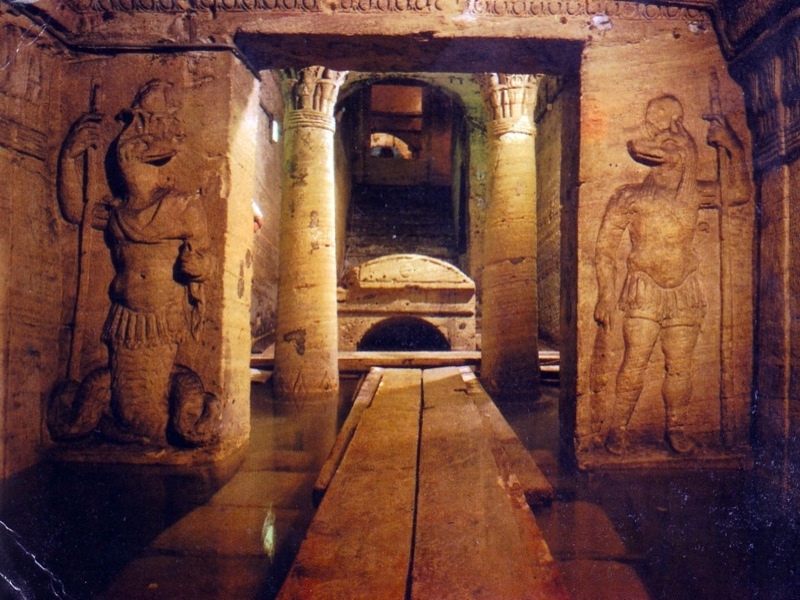 In the Central Tomb downstairs whose vestibule is guarded by reliefs of bearded serpents with Medusa heads shields you will find muscle bound statues of Sobek and Anubis wearing Roan armour, dating from the second century AD when “the old faiths began to merge and melt” (Forster). Water has flooded the Goddess Nemesis Hall (still accessible) and submerged the lowest level, hastening the catacombs’ decay.